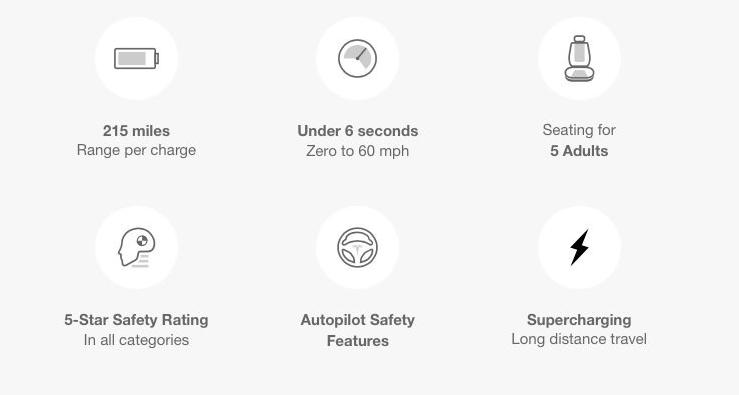 Tesla changed the wording around the Model 3’s safety rating, Autopilot and Supercharging capabilities, which are arguably Tesla’s three best-selling points. After the event, Tesla quickly launched a Model 3 page on its website and it reflected very well what Musk said during his presentation. As you can see, they changed the wording of the three features on the second row. Tesla removed the claim of 5-star in all categories. The automaker achieved such a rating in the Model S and although the Model X’s official safety rating has yet to be released, the company feels confident that it will also achieve 5-star in all categories and a probability of injury around 6.5% in a high-speed accident. It’s not clear why Tesla removed the claim from the Model 3 page, but we are still ~18 months away from the release of the vehicle and the actual safety rating, so it’s not too surprising that the company pulled the speculative language. The change in the choice of words for the Autopilot feature is interesting. Musk made it clear during the event that the safety features, like auto emergency braking, will be standard. 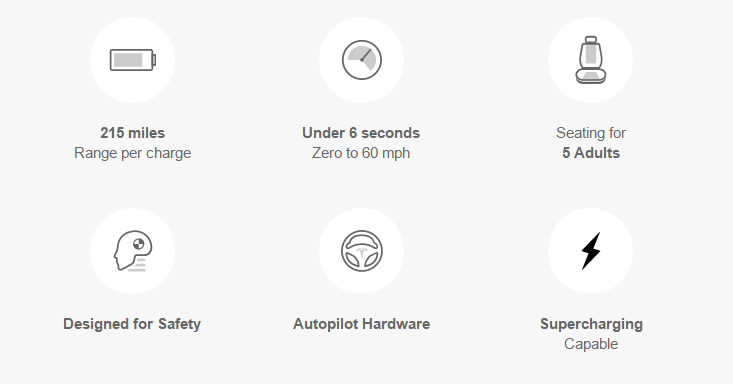 Now Tesla changed it this week to “Autopilot Hardware”. I wouldn’t worry too much about it considering Tesla participated in the recent industry wide pledge to make auto emergency braking standard in all vehicles. Perhaps autopilot could be seen as a safety measure and Tesla doesn’t want to be held to that language. We will have to wait for “part 2”, which is planned for closer to production in late-2017, but Tesla’s next gen Autopilot hardware is expected to allow fully autonomous driving and could explain the minimalist interior of the Model 3. Finally the Supercharging feature. When the feature first appeared on the website, the mention of “long distance travel” pointed to the exact same setup as the Model S and X. The access to Tesla’s network of Superchargers is standard for all Tesla vehicles, but for long distance travel only – meaning that it is frowned upon for a Model S owner to regularly charge at a local Supercharger. Now Tesla changed it to “Supercharger capable”, meaning that the Model 3 will be able to take DC fast-charging, but it doesn’t mean that it will have “free” access to Superchargers. In comparison, DC fast-charging capacity is optional on the Chevy Bolt regardless of any access to a charging network. All Model 3 will have the capability for Supercharging. We haven’t specified (and aren’t right now) whether supercharging will be free. As a price comparison, original Model S lower end models require a $2500 upgrade to enable supercharging. It is likely another feature that will make more sense during “part 2” of the Model 3 unveiling.